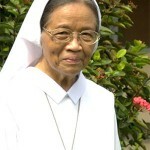 Sister Maria Ignasia was the third child of the family of E. Maksum and Maspupah. Her parents had 1 son and 3 daughters. Rembang is the town where she grew up. Masriah was educated and raised in a Non-Christian family. After she completed junior high school, Masriah went to the women’s vocational school in the section of culinary arts. 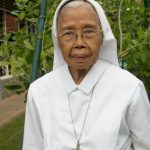 Masriah’s youth was marked by her desire to become a nun and, she joined the Notre Dame Congregation on February 2, 1957 as a Postulant and in her investment on October 21, 1957 in Pekalongan she received her religious name: Sister Maria Ignasia. Her first profession and then her final vows on July 2, 1965 in Rome became the main foundation in the maturity of the spiritual life of Sister Maria Ignasia. 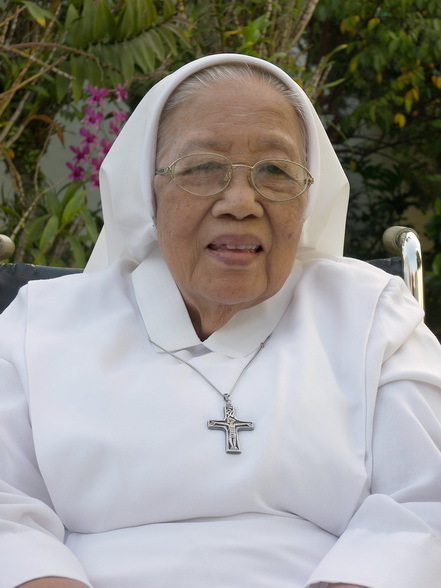 She became more stable in her religious life, carrying out God’s work through her life in community and mission. During her initial formation Sr. Maria Ignasia experienced the accompaniment of our Missionary Sisters who formed her to be a disciplined, obedient, simple, and joyful person. 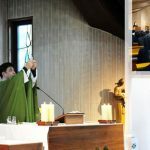 Besides ministering as head of the nutrition department in Budi Rahayu Hospital, she was local superior in various places and served as a nurse’s aid in Santa Yulia Community, Sukorejo for 10 years. After being engaged in this variety of ministries Sister began her retirement in the Wisma community in Pekalongan. Her assignment there was adoration from 11:00 am -12 noon together with the other adoration sisters. Besides her daily hour of adoration, Sister Maria Ignasia creatively made rosaries for the missions and also accepted orders from our schools and other communities. Her face radiated peace, calmness, smiles and joy to the people around her – sisters, former co-workers and relatives who came to visit her. The Sisters from various communities often asked her to pray for their intentions. Sister’s health declined rapidly since February 8, 2019 and she underwent treatment at Budi Rahayu Hospital. Sister Maria Ignasia would have celebrated her diamond jubilee on February 15, 2019 with the other jubilarians but the Lord, God of Life had a different plan for her. 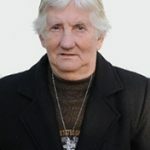 On that same day, the Lord made an end to her suffering and she went to her eternal home at 6.00 pm, accompanied by the prayers and the presence of many sisters.